Why my contacts are marked as Inactive? In this article you will learn why your contacts have been marked as inactive ones and what to do with it if you want the status changed. When contacts in a campaign are set to Inactive, it means that they are missing the data for the variable you used in the Steps templates. The variable pulls the data from a prospect's profile and, if the field connected to this variable is empty, the system will mark the contact inactive and block them from receiving the campaign. You can check which variables are missing in Campaign > Preview tab. 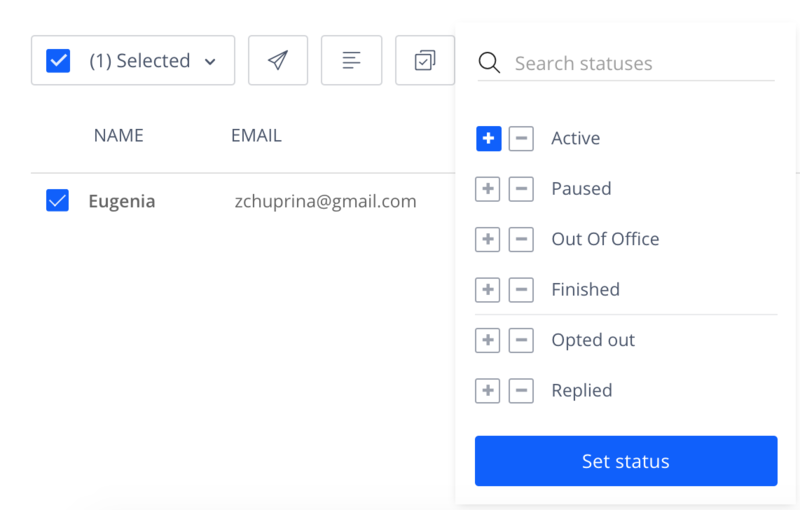 For your prospects to become Active, just add the missing data to the prospect profiles (or remove the variables from the templates), select all people with the Invalid status > Status > Active > Set status and your campaign will start sending.